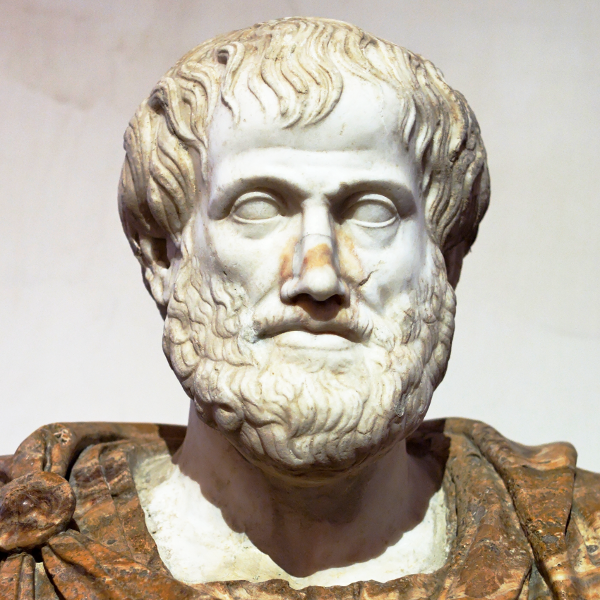 At the end of book Ⅶ of the Politics , Aristotle addresses the education of citizens. A good state requires a good constitution that is well-maintained, and all of that requires a citizenry well-versed in the virtues and in the specific sort of citizen-character appropriate to whichever constitution they live under. Book Ⅷ begins as though it is going to continue this subject but then becomes a treatise on musical education in particular. This is strange because Aristotle doesn’t seem to think musical education is a particularly important part of education. He gives such brief attention to many important issues in the Politics , but then concludes with several whole chapters on music theory and musical education. I have to suspect that this was part of another work that got tacked on here because some long-forgotten librarian didn’t know where else to stuff the scroll. Aristotle’s specific advice about musical education is not of much interest to us here, but along the way he says some things that are noteworthy. The character of a constitution (both its variety, e.g. oligarchical or democratic, and its quality) comes out of the character of its citizens. This character is a function of the virtues practiced by those citizens. Virtues are habitual choices of activity. These require education, training, and practice, starting at an early age. Therefore the state should take an active interest in the education of the youth of the polis. Before a child’s mind is ready for much in the way of intellectual understanding, it’s a good idea to begin gymnastic training. But don’t go crazy and run your children ragged, or try to turn them into fierce savages like the Spartans do. This doesn’t really do a lot of good, and can indeed cause injury. It also interferes with intellectual education. Overly-concentrating on physical strength and courage while underweighting the other virtues of a noble character doesn’t breed you a race of warriors but of dudebros. Save the spartan diets and punishing exercise until the late-teens. As for what topics of more mature education are most appropriate, Aristotle acknowledges differences of opinion. Should education be more about intellectual growth or about character? Should it be largely about mastering a broad set of practical, useful skills, or about the more elevated parts of culture? Even if you agree that virtue and character ought to be taught, which virtues and what kind of character remains an open question. It would be dreadful if education were only a sort of trade school that prepared students for a life of useful drudgery. Even some scholarly and artistic education seems pursued in a drudge-like way that makes the mind unsuited to rise above the mundane. The conscious intent of the education is important: is it to make the student more useful (in which case it is the education of a slave) or is it to make the student better (in which case it is the education of a free man)? Being able to spend our leisure time in pleasant ways is perhaps also something that education can improve upon, and this may be good even if such education does little to make one smarter, more virtuous, or good for anything useful or uplifting. But leisure is not just recreation-time. Rather, recreation is a sort of method for relaxing and unwinding from work. Leisure instead is a sort of engagement with life through the practice of the virtues in a way that is not oriented toward satisfying the basic needs of life (the way ordinary work is), but towards the ends of being alive in the first place. And we need education both to identify those ends and to develop the means to pursue them best. Musical education is sometimes explained in this way: as teaching people how to appreciate and produce something to delight us in our moments of leisure. Is musical education merely to allow for a sort of refined recreational activity? Or is it vocational: designed to teach a useful craft of musicianship or composition? Or, because music has a certain strange power over the irrational part of the soul, should we study it with an eye toward shaping its influence over us and others? These are not mutually exclusive, so maybe there are elements of all three. If it were just listening to music that was important, we’d drop learning to play from our general education and just hire performers to play for us when we feel the need. After all, we also enjoy eating food and it contributes to our life satisfaction, but we don’t therefore feel the need to teach all children to be chefs. Even if music has an important moral effect, couldn’t that be learned just as well by being exposed to many types of music and learning about music from the standpoint of an educated critic? Or is there something important imparted by learning to make music? Or maybe one can only be an educated critic with some hands-on knowledge of how music is generated. A recreation like music, or play in general, resembles an end, that is, a goal of human striving. An end is something that is not done as a means for doing something else, but as a goal of its own. Recreational activities are not true ends, but because they are done not as means to something else (but as consequences or ways of unwinding from the toil of means we undergo for other ends) they can seem end-like. Some people indeed act as though these things were the ends their lives orient towards. Virtue, as Aristotle explained in the Nicomachean Ethics , is a habit of choosing along virtuous lines; and this habit is formed by being pleased by virtuous actions. Learning to find the right things pleasant is key to becoming a virtuous, flourishing human being. So perhaps musical education is a way of helping to train a person to make such choices. Different sorts of music and rhythm evoke different sorts of emotional and physical responses in people: anger, gentleness, courage, self-control, and their opposites, all have musical counterparts. To learn to like music that evokes noble changes in our souls is good training for learning behavior that molds our character toward the virtues. It’s not a good idea for children to aim for virtuoso ability. That takes too much effort, and distracts from more worthy activity. And we aren’t aiming to create professional musicians whose aim is to play for others, but to improve the virtue of the musical student. Just some baseline skill is all we’re after: enough so that the student can recognize the finer points of music. Some instruments, are better for educational purposes and for promoting the virtues than others. Some modes (e.g. the Dorian mode) and some rhythms are educational in nature, while others are better for catharsis or for relaxation. Knowing the right ones to use in the right circumstances is important. And it is on this musical note, somewhat strangely, that Aristotle’s Politics ends.